America’s Original and Best Selling Giant Magnetic Car Bow on the Market! The Giant Merry Christmas Car Bow for Holiday Cheer! Decorate your Showroom or Front line with these giant Holiday Bows. Great for Holidays, Birthdays, Anniversaries, Graduations or any special occasion! These Giant Merry Christmas Car Bows are designed to be used indoors or outdoors. Made of high quality weather resistant, waterproof vinyl. Each Bow has a soft non-scratch magnetic base that holds the bow to the vehicle hood or roof. Each bow is packaged so it arrives to you full and ready to display. No assembly required. Available in festive colors and now with Printed Stock Bows. Dimensions: 30 inches wide with two 30 inch long x 4 1/2 long wide tails. Bows Can now be customized! Have your logo or saying printed on the tails of our best selling bow! Call for details and pricing. 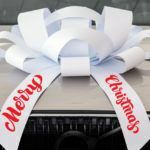 Check out our custom car bows, happy holidays car bows, and the classic car bow for more options to add the perfect finishing touch! 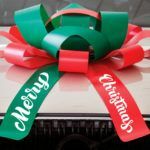 Our giant merry Christmas car bow is a beautiful addition to any car dealership or lot. 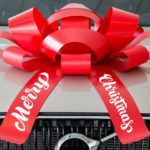 If you are giving a big gift this year add our giant Merry Christmas car bow to show your loved ones how much you care. 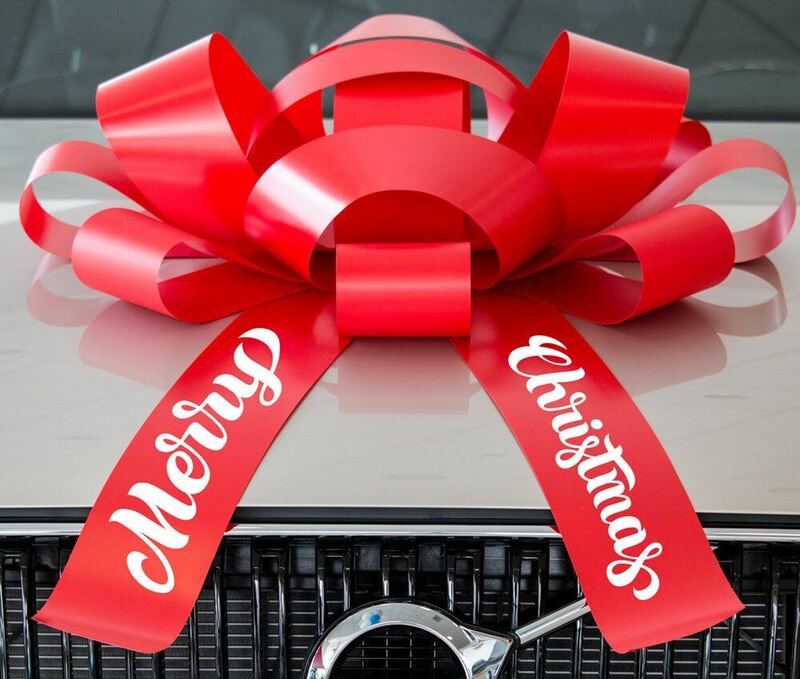 The giant Merry Christmas car bow is a BER Flags and Bowz exclusive – you will only find it here! If you are going big this holiday season make sure you add the perect finishing touch! BER Flags and Bowz is the premier retailer for car dealership products, specialty realtor supplies and the giant car bow. Customer satisfaction is our number one priority, we are always here to help! Visit us on facebook to stay up to date on our latest deals!